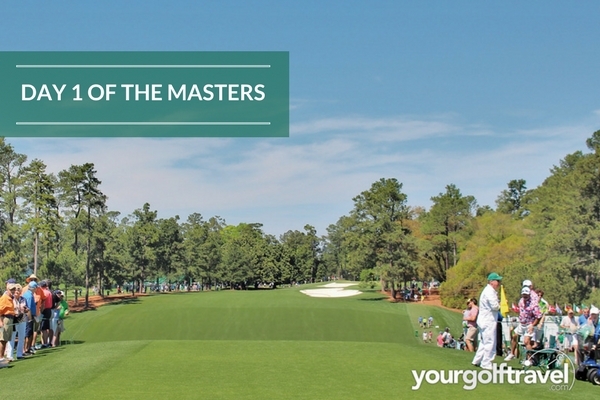 The 81st Masters was started in the same way it has been for the last few years but with one notable absence. Typically the games big 3: Jack Nicklaus, Gary Player and Arnold Palmer have hit a ceremonious tee shot off the first tee to start the US Masters, a tradition that started with Arnold Palmer alone before he was the joined on the tee by Jack Nicklaus and then finally by Gary Player in 2012. However, as the whole golfing world was aware there was no Arnold Palmer this year. The ‘King’ was there in spirit though, as Billy Payne started off his speech with a touching tribute to the great man and his Green Jacket was placed on a chair watching his good friends Jack and Gary tee off. As always Nicklaus and Player were in good spirits, engaging with the crowd and cracking on the odd joke but when it came down to hitting then ball – the 2 greats can still strike it. Nicklaus went onto tweet about how much it means to him starting the Masters and how special the tribute to the late great Arnold Palmer was. As with any major day 1 always brings up a few shocks but perhaps the biggest of yesterday was the withdrawal of world number 1, Dustin Johnson. The big hitting American was almost a shoe in for this years Green Jacket however, following a fall down the stairs Wednesday evening he sustained back and elbow injuries. DJ turned up to Augusta National yesterday with the intention of playing as he went through a warm up routine but it wasn’t till he was walking to the 1st tee that he pulled out the 2017 Masters. He said in an interview afternoon that he was extremely disappointed but he just didn’t feel like he could “compete for 18 holes” when only swinging at 70%. On the course, Jordan Spieth is renowned for shocking us with incredible golfing performances round Augusta but yesterday this was not the case as the 2015 Masters champion struggled carding a 9 on the par 5, 15 albeit in tricky conditions. 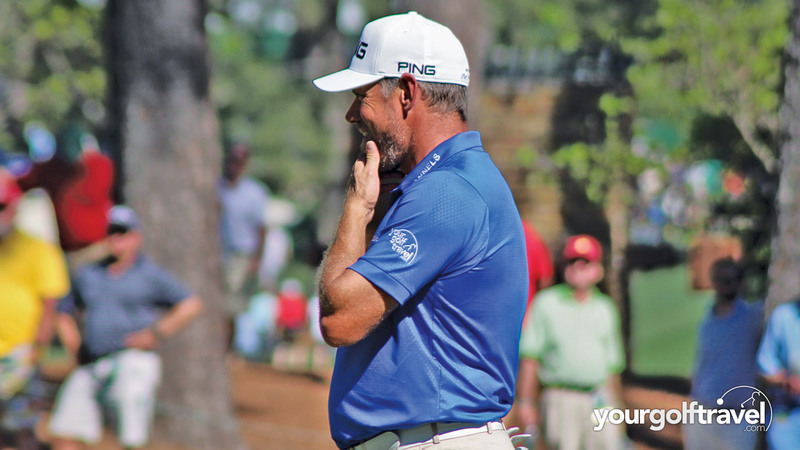 YGT Ambassador Lee Westwood is doing what he does best in the Masters as he currently sits in 3rd place scoring a round of -2 which is yesterday’s conditions is an incredible achievement as well. Many players including Rickie Fowler and Matthew Fitzpatrick who both finished with a double bogey on 18 to slightly ruin their scorecards said “anything under par out there today is good”. When it comes to picking a shot of the day, you’re never going to choose one that everyone agrees with or that everyone has seen. But today my shot of the day came early on before TV coverage started from Martin Kaymer. After going right on the par 5, 2nd with his second shot he was left with a 50 yard pitch up the green to the hole for eagle. As many people know anyone who makes up and down from around the greens at Augusta is special. Kaymer continued to go one better than just make up and down by holing out for eagle. Incredible piece of wizardry from the German. Your Golf Travel will be hosting an exclusive Masters party on Saturday night which will be hosted by David Livingstone, the leading presenter for golf on Sky sports. He will be joined by Your Golf Travel brand ambassador for a Q&A session on Darren’s career including his experience as the 2016 Ryder Cup Captain. The event will be held at the Your Golf Travel Hospitality Marquee located on the grounds of Augusta and will include UNLIMITED bar and food. If you are in Augusta this weekend, be sure to contact masters2017@yourgolftravel to book your spot. Only £40 per person!